26 Apr 2018 / 21:12 H.
MADRID: Five migrants have died trying to cross the Mediterranean, the Spanish coastguard said Thursday after rescuing more than 180 others, while they searched for another two boats with dozens aboard. Rescue boats, helicopters and planes from southern Spain carried out a series of rescue operations late Wednesday and Thursday, a spokeswoman said. 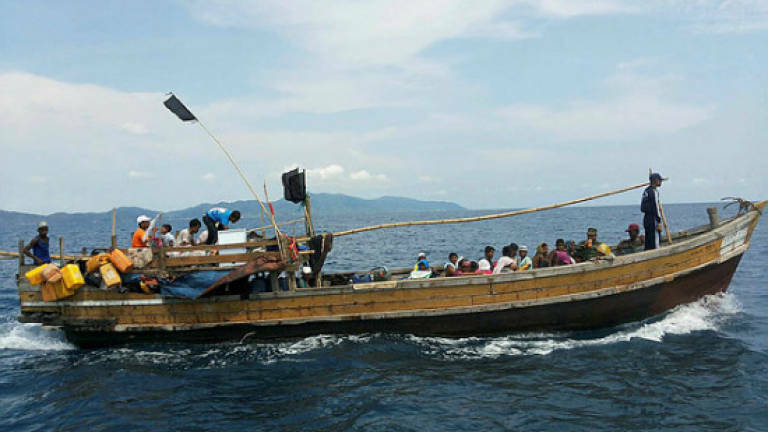 Since Wednesday evening, 185 people in five boats had been rescued. But at least one boat had capsized, and four migrants were already dead in the water some 40 km off Morocco's coast when rescuers arrived, she said. Another of those rescued died later of cardiac arrest. On Thursday, the coastguards were searching for another two boats in the Mediterranean with at least 45 people on board. Initially, helicopters and planes had been grounded because of bad weather but they were eventually able to fly, joining rescue boats in the search. The news came as police said they had arrested 19 people for illegally transporting migrants across the Strait of Gibraltar to Spain using jet skis or small inflatable boats. They allegedly charged €4,000 (RM19,000) per crossing and another €500 if the person trying to get to Europe needed lodging once in Spain, police said in a statement. According to the International Organization for Migration, more than 22,400 people arrived in Spain by sea last year, nearly triple the number for 2016.